Scotland is the second largest country in Great Britain. It is bordered on the west and north by the Atlantic Ocean; on the east by the North Sea and on the south by England. Area: 78,789 sq km (30,420 sq miles) including the islands. About twice the size of the Netherlands and almost the same size as South Carolina in the US. Scotland counts 787 islands from which around 130 are inhabited. Religions: Majority of the people (3,3 million) are christian. 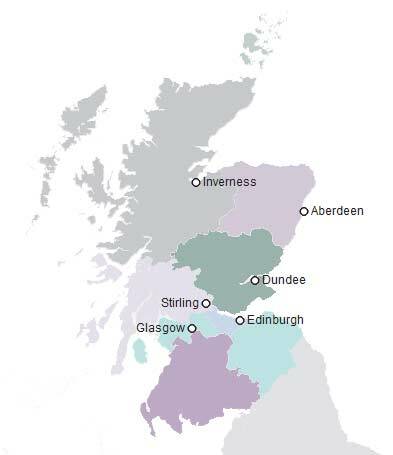 Churches: Church of Scotland (Presbyterian), Scottish Episcopal Church, Roman Catholicism.